The key words Artificial Intelligence and Computer Vision for many of us have the meaning of some sort of robot, usually humanoid, which is able to move into some space, talk to us and has sufficient capabilities to understand some tasks we are asking. Something similar to Sophia, the robot that just became citizen of Saudi Arabia. But today we actually meet Artificial Intelligence in many forms, and sometimes we do not even realize that a “robot” is behind the behaviour of “smart environments”. This is the case of the smart cars, which started at earlier stages with some capabilities to help drivers in the traffic or communicate with other environments (e.g. smart homes) to remotely do some tasks. The driverless cars made their first appearance on the public roads earlier this year, when the WEpod electric bus was tested in the Netherlands. It didn’t take long to reach the point of have some autonomous cars circulating on the public roads without any safety driver around. The Waymo self-driving car is equipped with a series of sensors and software which provide the necessary Artificial Intelligence and Computer Vision capabilities to follow up a predefined route, detect and predict traffic conditions in real time and handle really complex driving scenario as a human driver would do. This includes detection of pedestrians, cyclists, other vehicles, road work, in all directions from a big distance (up to two football fields). Although it is manufacturing its own sensors and hardware, Waymo has built up some partnerships with other companies (Fiat-Crysler, Lyft and Avis) in order to get to the market. The self-driving vehicles have been tested to a variety of locations within the United States, in a trial to assess their behaviour, safety and comfort over a wide range of real-world conditions. If you would like to give it a try, then you should enroll in the Early Rider Program, which is a public trial of the Waymo self-driving cars in Phoenix, Arizona, in the United States. By entering the program you will be using the cars for the usual daily transportation (e.g. to go to work, school, movies, etc.) 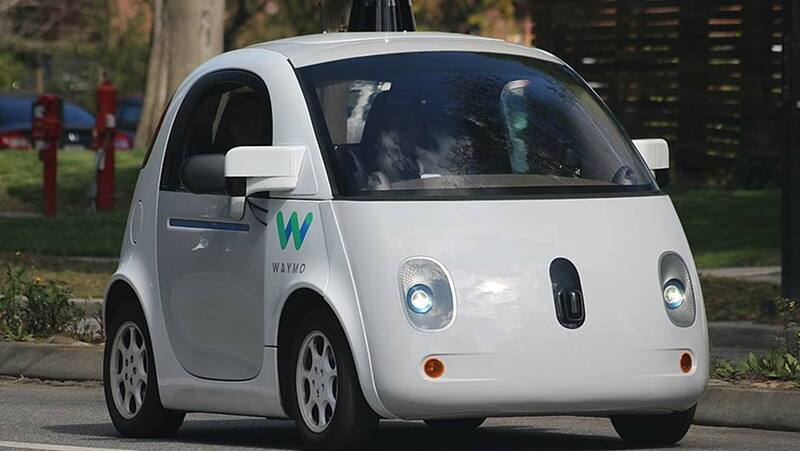 and then you will be asked to share your impressions and experiences with the Waymo team to help them improve the technology and features of the self-driving cars. The Waymo cars have self-driven over 3 million miles since 2009 when they started to be tested on the roads in real-conditions, and have come very far with respect to safety and comfort. Still to date an employee of the company is present in the car during the Early Riders tests, but rather as an observer behind the driver’s seat and without an active role in the driving tasks. The Waymo self-driving vehicle has reached Level 4 autonomy, which now becomes a high target for all the companies worldwide who are active in the autonomous cars industry. In his talk at the Web Summit, Krafcik unveiled the next step for Waymo in the area of commercial ride-hail services: “People will get to use our fleet of on-demand vehicles, to do anything from commute to work, get home from a night out, or run errands”, which also explain the partnership with Lift and Avis.